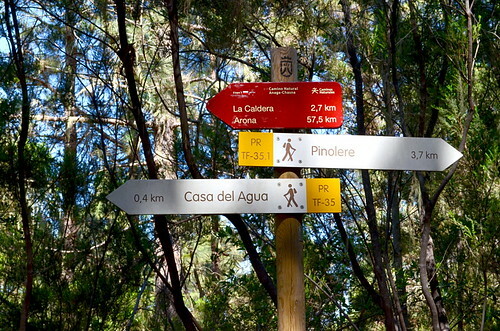 The red and white GR or Gran Recorrido routes are over 50km and take several days to complete if you do them in one go. The GR131 integrates with the pan-European E7 trail and runs the length of the island from the Anagas to Arona and the GR133 covers the mountains and high ground of the island. 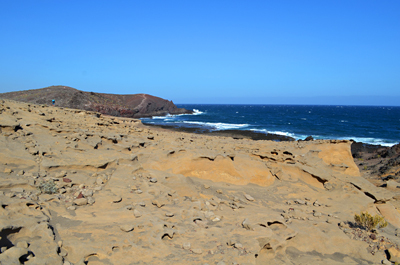 The yellow and white PR or Pequeña Recorrido routes are between 10km and 50km and cover the island extensively. Some may be less than 10km but have steep ascents or descents which make them a bit tougher. 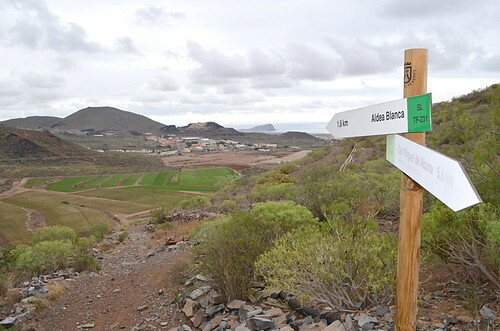 The green and white SL or Sendero Local are routes of less than 10km and again, exist all across the island. The system of waymarking is quite straightforward with stripes to denote the correct path and an X to denote the wrong one. At times, a section of path will be covered by two or all three of these routes and will show all the relevant coloured stripes. If you’re on these routes you’re unlikely to get lost. The Cairn. 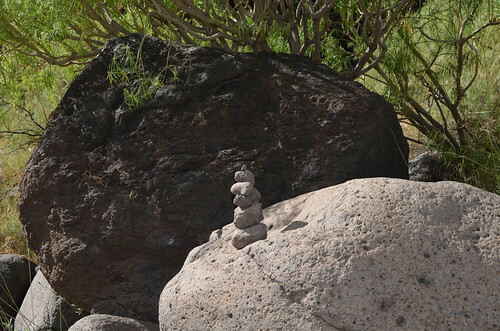 The walker’s friend across the world, that little pile of rocks placed at junctions and strategic points in the path to help fellow hikers find their way, is as prevalent on Tenerife as it is everywhere else. At times, the cairn can be a godsend but often they’re too prolific and can actually cause more confusion than they clear. 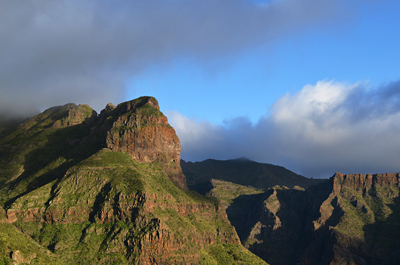 Take the Masca Barranco for example. 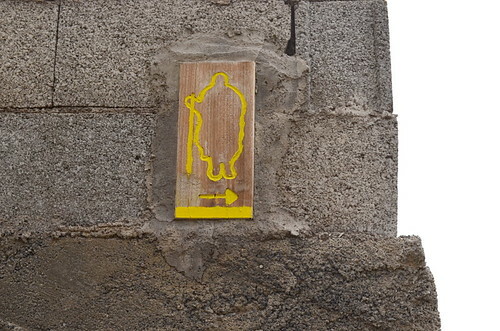 Having just walked it again, we have seen that there are now numbered signs at various points in the route. Not enough or in the right places to be particularly useful but it’s a start. 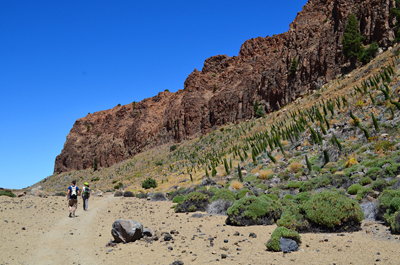 Until recently there were no waymarks at all in Masca Barranco and with GPS inaccessible for much of the way, lots of people got lost, despite the proliferation of cairns. And that’s because people will build a cairn to denote the route they took, regardless of whether there are other, existing routes, also bearing cairns, that would have served equally well and in some cases, better. 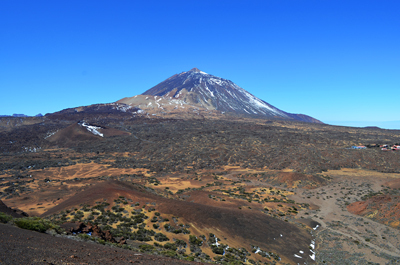 The same picture is repeated right across Tenerife. So the message is, beware of following random cairns, instead, look for a steady stream of rock piles and stick with them. Arrows. 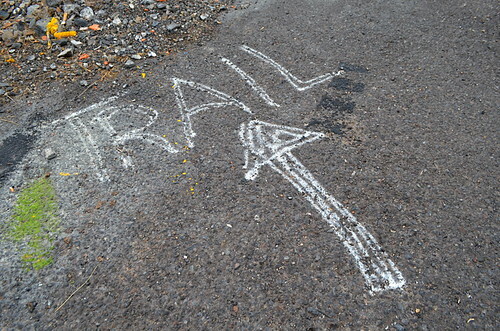 We recently followed a route where large white arrows painted onto the road were incredibly helpful in locating an otherwise unmarked route. It’s not the first time we’ve come across impromptu signs and have found them particularly useful when new housing developments have been built over part of an old path and you have to negotiate uniformly dull streets to get back to the route. Many of the routes we use in Island Walks have not yet been officially signposted and still rely on the waymarks used for decades. Coloured daubs on rocks, walls and occasionally telegraph posts will frequently accompany a route. In many cases the daubs have been there for a long time and are faded but still visible so you may well find yourself following the green daubs or the yellow daubs for some or all of our routes. We recently did a walk which followed a pilgrim trail and was waymarked by lovely stencils on rocks in the shape of a goatherd with a staff and wearing a cloak. 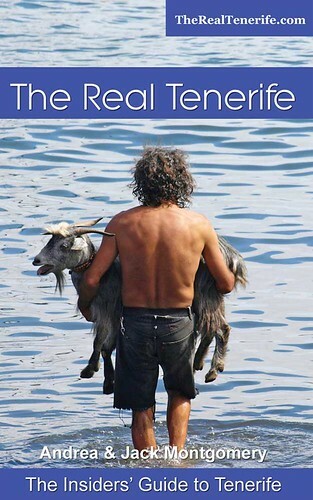 The image was supposed to be Hermano Pedro, a former goatherd from Vilaflor and Tenerife’s only Saint. 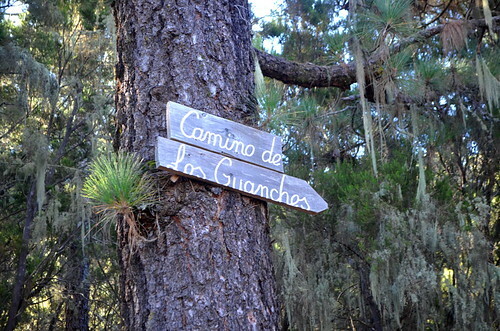 I love to see these carved signs nailed high up trees on forest trails. It’s so nice to see the care that someone has taken to carve the place name, usually with a flourish, for other travellers to follow. I mourn their passing and was delighted to hear just a few days ago of a friend on La Gomera who has recently carved one and added it to a post that has been awaiting a sign for a very long time. 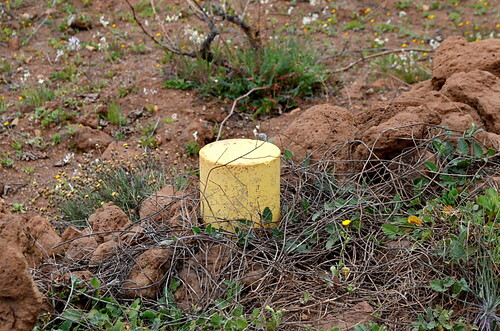 Another oldie but a newcomer to our waymarks library which we encountered recently was a series of squat, yellow-tipped posts which marked an old wine route. 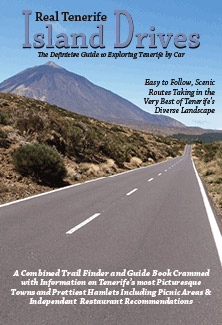 Only ever seen in the Teno National Park and in La Orotava, this is one of our absolute favourite old route markers. Elvis stars on a diamond shaped waymark which randomly appears nailed on trees, usually way above eye line and looks as if he’s been there since the 1950s. 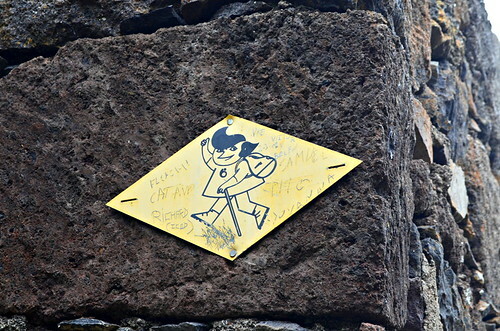 He’s a happy, confident chappie with an enormous quiff who strides out on his little sign. 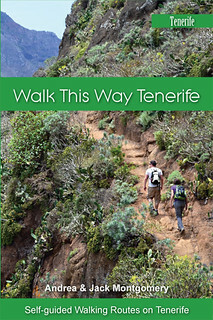 Although we do use GPS in order to get accurate distances and to record ascents and descents so people know before they set off if a route is likely to be too difficult for them, we much prefer to describe our routes in words, not numbers, and spotting the next waymark along the way is an integral part of exploring Tenerife’s trails. Long may it remain so.